지난 2015년 11월 21일 한국토머스머튼연구회 31차 포럼에서 읽은 논평 원고를 옮겨 놓는다. 영어를 사용하는 강연자를 위해서 논평 원고를 영어로도 번역했는데, 아래에 함께 붙여 둔다. 연구회에서 부탁받은 대로 강의 내용을 간단하게 요약하고 몇 가지 질문을 담았다. 강연자께서 ‘우문’에 ‘현답’을 준비해주셨는데, 실제 강연장에서는 시간의 제한으로 그 중 한 가지 질문에 대해서만 대답이 되어졌다. 하지만 이후에 모든 내용이 출판된다고 하니 기다려볼 일이다. 저는 논평과 번역을 위해 사전에 강의 원고를 받고서, 원고의 내용을 읽기도 전에 글의 제목에 매료가 되고 말았습니다. 강연자 폴 피어슨 박사님은 오늘날 우리가 살아가는 세계를 묘사하기 위해서 흔히 사용되는 “과학기술의 세계”라는 표현 대신에, “과학기술용어의 세계”라는 표현을 사용하였습니다. ‘과학기술’을 의미하는 ‘technology’와 ‘왁자지껄 떠드는 소리’를 의미하는 ‘babble’이 합쳐져서 만들어진 혼성어, “과학기술용어”(technobabble)는 ‘난해하고’ ‘소란스럽다’는 의미를 내포하고 있습니다. 이 용어는 소음 속에서 서로를 제대로 이해하지 못하며 살아가고 있는 현대인들의 특성을 잘 포착하고 있다고 생각합니다. 실제로 강연자는 도입에서 각종 기기들이 만들어 내는 소리들뿐만이 아니라, 현대인들의 일상을 점령하고 있는 미디어 기기들, 또는 그 기기들에 종속된 삶의 양식들을 침묵과 고독을 방해하는 일종의 소음으로 제시하고 있습니다. 그렇습니다. 우리의 현대 사회는 “과소비”와 “과잉소통”을 부추기는 “과학기술용어”의 소음으로 채워져 있습니다. 아마도 이것이 물리적인 소음보다도 더 심각하게 현대인의 관상 생활을 방해하는 요소일 것입니다. 이러한 소음이 위협하는 것은 침묵과 고독만이 아닙니다. 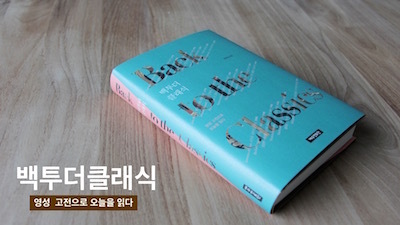 매일 “급류처럼 밀려오는 말의 홍수”(torrent of words)는 말의 힘을 앗아가고, 사람과 사람 사이의 소통을 가볍거나 난해한 정보 교환의 수준으로 저하시킵니다. 이러한 세상에서 토머스 머튼의 삶과 가르침을 통해서 침묵과 고독의 가치를 말하는 피어슨 박사님은, 당신의 표현을 인용하면 “반문화적(counter-cultural)”이고, 머튼의 표현을 빌려오면, 시인과 수도자와 히피와 같이 시대적으로 “부적절(irrelevant)”합니다. [각주:1] 그런데 역설적으로 이러한 반문화성과 부적절성이 오늘날 과학기술용어의 세계에서 살아가는 현대인의 타성과 관성에 도전하고, 인간 내면에 있는 근원적인 갈망, 곧 진정한 소통과 일치에 대한 갈망을 일깨웁니다. 벨라민 대학 ‘토머스머튼센터’의 책임자로서 머튼 관련 자료에 대해 누구보다도 잘 알고 있는 폴 피어슨 박사는 그의 해박한 지식과 깊은 이해를 토대로 머튼의 출판된 글은 물론 미간행 자료들에서 침묵에 관한 핵심적인 언급들을 가져와 우리에게 소개해주었습니다. 오늘 제게 주어진 임무 중의 하나가 강연을 요약하는 것이므로, 이미 들으신 내용이지만 간략하게 몇 가지 요점만 언급하고자 합니다. 먼저 “머튼의 침묵 경험”이라는 제목이 붙은 부분에서 강연자께서는 오컴 시절부터 방콕에서 세상을 떠날 때까지의 머튼의 영적 여정에서 침묵이 얼마나 중요한 위치를 차지하고 있었는지를 요약적으로 그려내었습니다. 그리고 그 과정을 통해서 머튼의 예언적인 목소리가 역설적으로 점점 깊어지는 침묵으로부터 나온 것임을 분명하게 보여주었습니다. 이어지는 본문의 두 번째 부분에서 피어슨 박사님은 침묵과 고독에 대한 머튼의 가르침을 다음과 같이 요약했습니다. (1) 고독은 우리로 하여금 “침묵 속에서의 하느님과의 대화”로 이끕니다. (2) “침묵은 우리가 내면의 모순과 갈등을 해소하도록 도움을 줍니다.” (3) 그래서 우리는 침묵 속에서 하느님의 침묵과 연합하게 됩니다. (4) 이것을 “침묵이 우리를 우리 안에 있는 하느님의 불꽃, 곧 진정한 자기로 이끈다.”는 말로도 표현할 수 있습니다. 또한, 오늘 강연에서 놓치지 말아야 할 부분은 침묵이 역설적으로 말의 참된 가치를 회복시켜 준다는 점입니다. 침묵은 말을 없애는 것이 아니라, 말을 무의미와 상업적 또는 정치적 남용으로부터 건져내어 보존함으로써 말이 가진 원래의 창조적인 힘과 성사적인 가치를 회복시켜 줍니다. 이것뿐만이 아니라 침묵은 우리의 마음의 귀를 열어 하느님의 말씀(the Word of God)을 듣게 하고, 나아가 다른 이들을 들을 수 있게 합니다. 그래서 우리는 침묵을 통해서 하느님의 시각으로 세상을 보는 것과 예언하는 것을 배우고, 다른 이들과의 참된 소통에 이를 수가 있습니다. 그래서 역으로 우리가 진정한 소통을 잃어버린 이유는 침묵을 잃어 버렸기 때문입니다. 그리고 그 결과 영적 친교(communion)를 잃어버렸기 때문입니다. 강연자께서는 본문의 세 번째 부분에서 이것이 오늘날 “우리가 직면하고 있는 심각한 위기이며, 진정한 영적 친교를 회복하기 위해서 노력해야 할 이유”라고 설득력 있게 논증하였습니다. 결론에서 피어슨 박사님은 머튼에게 있어서의 침묵의 가치를 이중적으로 요약하였습니다. 먼저 침묵은 우리로 하여금 우리의 진정한 정체성을, 곧 하느님의 사랑 받는 자녀임을 깨닫게 하여 스스로를 사랑하게 합니다. 그리고 우리가 받은 하느님의 사랑과 자비를 다른 이들에게 진실하게 보여 주게 하는데, 이것은 “소통에서 친교로 나아가는 이동”(movement from communication to communion)에서 이루어집니다. 그러므로 제가 바르게 이해한 것이라면 이와 같은 이동을 추동하는 근원적인 힘은 사랑과 자비라고 할 수 있습니다. 이 부분에서 저는 머튼이 캘커타에서 한 유명한 강연의 한 부분이 떠오릅니다. 여기에서 저는 피어슨 박사님께 몇 가지 질문을 드리려고 하는데, 아마 여기에 계신 여러분들 중에도 비슷한 질문을 가지신 분이 계시리라 생각합니다. (1) 머튼이 말한 ‘말이 없는, 말을 넘어선 영적 친교’는 무엇입니까? 그저 한 개인이 침묵 가운데서 이런 영적 친교의 ‘느낌’을 갖는 것을 넘어서서, 어떻게 하면 오늘날 파편화된 과학기술용어의 세계에서 한 가족이, 한 공동체가 서로에 대한 깊은 이해를 가지고 이런 친교 가운데서 살 수 있을까요? 이에 도움이 되는 구체적인 제안이나 사례가 있으시다면 소개해 주시기를 부탁드립니다. (2) 오늘날은 영성지도자의 기본적 자질로써 듣기, 특히 “관상적 경청”(contemplative listening)의 중요성이 강조되고 있습니다. 또한 박사님께서도 “우리가 인간으로 남고자 한다면, 다른 이들과 영적 친교 가운데서, 진정한 대화 가운데서 사는 것이 절대적으로 필요하다.”[각주:3]는 머튼의 글을 인용하시면서, 우리는 반드시 침묵하고 들어야 한다고 말씀하였습니다. 그리고 단순히 귀를 기울여서 듣기만 해서는 안 되고, 마음의 귀로 들려오는 소리를 인식해야 한다고 강조하였습니다. 여기에 대해서 좀 더 자세히 말씀해 주실 수 있으시겠습니까? 주의를 기울여 듣는 것(to listen)과 들려오는 소리를 인식하는 것(to hear)의 차이는 무엇입니까? 사전적 정의의 차이보다는 그것이 우리의 영성 생활에서 어떤 차이를 가져오는지 궁금합니다. 더불어 박사님께서는 “예언자의 모범”으로서의 머튼을 친절히 소개해 주셨는데, “듣는 자의 모범”으로서의 머튼에 대해서도 잠시 소개해 주실 수 있으시다면 감사하겠습니다. (3) 박사님께서는 머튼이 “긍정적(또는 창조적) 침묵”과 “부정적 침묵”을 구분하였다고 말씀하셨는데, 부정적 침묵에 대한 설명은 생략하셨습니다. 우리가 주의해야 할 부정적 침묵이 무엇인지 설명해 주신다면 침묵을 실천할 때에 분별에 도움이 되리라 생각합니다.마지막으로 오늘 박사님께서 전해주신 유익하고 통찰력 있는 강연은 물론, 이곳 먼 한국까지 오셔서 이 자리에 함께 해주심에 진심으로 감사드립니다. 침묵에서 우러난 박사님의 강연과 현존은 역설적으로 오늘 이곳 가운데 “침묵의 분위기”를 조성해 주셨습니다. I enjoyed the privilege of reading a copy of the script of this lecture in advance for translation and response. Upon receiving the copy, I was fascinated by the title of the lecture before reading the text. Dr. Paul M Pearson uses the phrase “the world of technobabble” rather than the commonly used phrase “the world of technology” in order to describe the world where we live today. The term “technobabble” is a portmanteau which comes from “technology” and “babble” so connotes “noisiness” and “incomprehensibleness.” I think this term captures well some characteristics of modern people who are unable to comprehend each other in noises produced by technology. Indeed, the speaker in his introduction has presented the media devices, which take up modern people’s everyday life, or their way of life, which is subordinated to the devices, as a kind of noise that disturbs their silence and solitude. Yes, our modern society is filled with the noise of technobabble that incites “over consumption” and “hypercommunication.” Perhaps this is a more serious threat to modern people’s contemplative life than physical noises. What such noise threatens are not only silence and solitude. The inundating “torrent of words” deprives of the power of words and degenerates people’s communication to the level of mere exchange of trivial or incomprehensible information. Dr. Pearson, who asserts in this world of technobabble the value of silence and solitude through Thomas Merton’s life and teachings, is “counter-cultural,” in his expression, and “irrelevant” like monks, poets, and hippies in Merton’s expression. [각주:4] Paradoxically, however, such counter-cultural and irrelevant nature of his lecture challenges the inertia of modern people and evokes a fundamental desire in human beings for real communication and unity. Dr. Pearson, director and archivist at the Thomas Merton Center at Bellarmine University, is one of the persons who best know about Merton materials. He has introduced very well to us Merton’s core teachings on silence bringing both from his published and unpublished materials. Because one of the tasks assigned to me today is to summarize Dr. Pearson’s lecture, I am going to mention several points concisely. First, in the section entitled “Merton’s Experience of Silence” the speaker has briefly described the importance and effect of silence in Merton’s spiritual journey from Oakham to Bangkok and has clearly showed that Merton’s prophetic voice was grown from his gradually deepening silence. At this point, I would like to ask Dr. Pearson some questions that some of the audience might also have. (1) What is the wordless communion that Merton said? How can a family or a community in this fragmented world of technobabble live in such communion with deep mutual understanding beyond just a person’s feeling of unity in silence? If you have some suggestions for or an example of such communion, please share with us. (2) Nowadays, “contemplative listening” is being emphasized as a qualification to be a spiritual director. Also, quoting Merton’s writing, “To live in communion, in genuine dialogue with others is absolutely necessary, if [we are] to remain human,”[각주:6] you has highlighted the necessity of silence and listening. Further, you has emphasized that we need “to hear…with the ear of the heart” not just to listen. Could you say more about this? What is the difference in our spiritual life between to listen, to pay attention with the ear, and to hear, to perceive sound with the ear? In addition, you have kindly introduced to us Merton as “exemplar of the prophetic.” Then, could you also let us know about Thomas Merton as exemplar of the listener or hearer? (3) You have told that Merton made “a distinction between positive (or creative) silence and negative silence” but have skipped an explanation of the latter. I think that if you give us a brief account of the negative silence that we need to be careful of, that will be helpful to us in practicing silence. Finally, I really appreciate your presence here in Korea as well as your informative and insightful talk, which has paradoxically created an atmosphere of silence in my (perhaps our) life.